Tool for perfect brows. Easy to operate, but good to practice before you start on real skin. 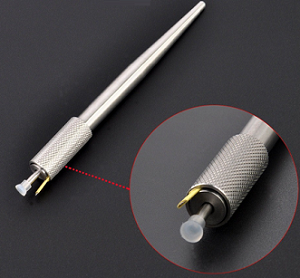 Uses hand method U-needles and disposable silicon cups.